The term "porridge" is often used specifically for oat porridge, which is eaten for breakfast with salt, sugar, fruit, milk, cream or butter and sometimes other flavorings. 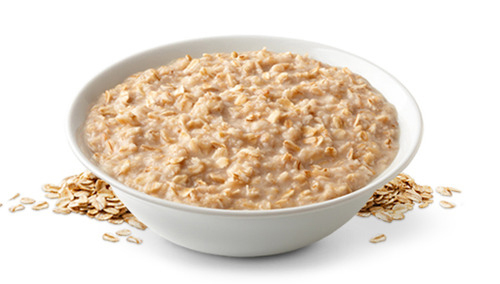 Oat porridge is also sold in ready-made or partly cooked form as an instant breakfast. Other grains used for porridge include rice, wheat, barley, corn, triticale and buckwheat. Many types of porridge have their own names, such as polenta, grits and kasha. Porridge is a staple food in much of Africa and historically was also a staple in much of Northern Europe and Russia. Porridge is easy to digest, so it is traditionally used in many cultures as a food for the sick and is often eaten by athletes in training. The high nutrition levels in porridge oats have led it to be labelled as a superfood. 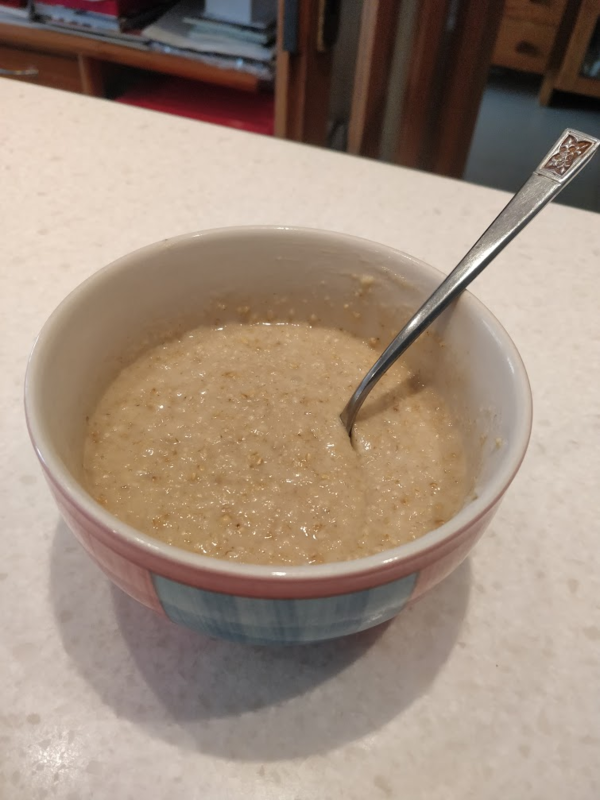 Porridge oats, as with many whole-grain cereals, are high in fibre – especially beta-glucan, and are a rich source of vitamins, minerals and antioxidans. In fact, whole oats are one of the few known sources of a unique group of antioxidants called avenanthramides, which are believed to have protective effects against heart disease. A 2014 study by the American Journal of Clinical Nutrition found that a daily intake of at least 3 grams of oat β-glucan lowers total and low-density lipoprotein cholesterol levels by 5-10% in people with normal or elevated blood cholesterol levels. β-glucan lowers cholesterol by increasing the viscosity of digesta in the small intestine, although cholesterol reduction is greater in those with higher total cholesterol and LDL cholesterol in their blood. Porridge oats are also rich in B Vitamins, which are vital for nervous system and brain function, along with Selenium – an important antioxidant for healthy brain chemistry, DNA repair and is associated with a reduced risk of colon cancer. Ferulic acid, which is also prominent in porridge oats, is also known to be an antioxidant that protects the colon from cancer. Research into the anti-inflammatory effects of porridge oats is ongoing, but there have already been positive indicators that regular consumption could prevent inflammation related to a number of chronic diseases, owing to the high avenanthramide levels. Porridge is often recommended for weight loss due to its low calorie count – at 171 calories per bowl – and its low glycemic index (GI) means they increase blood sugar levels gradually and over a longer period of time, reducing hunger and the likelihood of eating less healthy snacks. Cir, Păsat or (when firmer) Mămăligă are all Romanian maize porridges. Grits, ground hominy, is common in the southern United States, traditionally served with butter, salt and black pepper. Sometimes, it is also served with cheese. Polenta, an Italian maize porridge which is cooked to a solidified state and sliced for serving. Rubaboo is made from dried maize and peas with animal fat and was a staple food of the Voyageurs. Shuco, a Salvadoran dish of black, blue or purple corn flour, ground pumpkin seeds, chili sauce and red cooked kidney beans, which was traditionally drunk out of a hollowed-out gourd at early morning, especially coming from a hunting or drinking trip. Suppawn, also called, and better known as, hasty pudding, was common in American colonial times and consisted of cornmeal boiled with milk into a thick porridge. Still eaten in modern times, it is no longer necessarily corn-based. Mielie Pap, is a maize porridge staple in South African cuisine. Gruel, very thin porridge, often drunk rather than eaten. Yod Kerc'h, a traditional oat porridge from the north-west of France, primarily Brittany, made with oats, butter and water or milk. 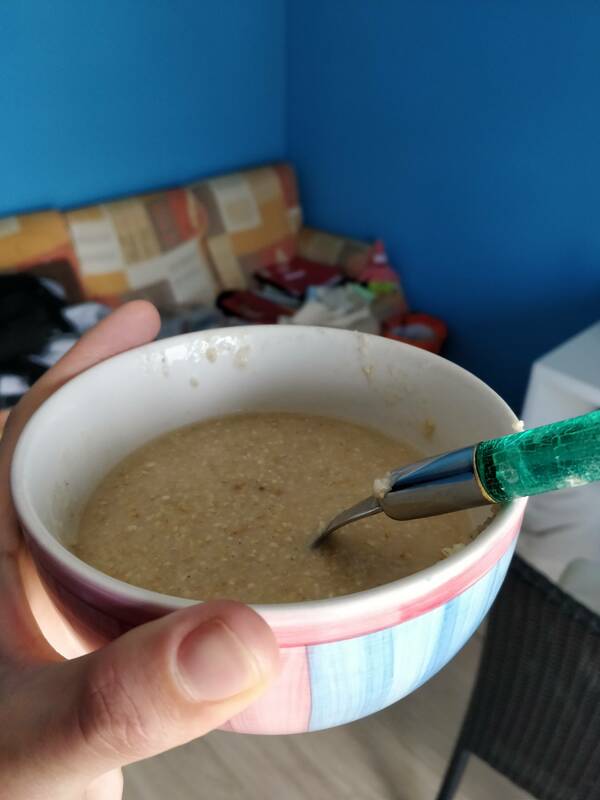 Owsianka, an east European (Russia, Poland, Belarus, Ukraine) traditional breakfast made with hot milk, oats and sometimes with sugar and butter.